Home Blog Technology Which Wacom tablet is best for your needs? Which Wacom tablet is best for your needs? By now, most creative arts professionals are aware of the benefits of pen tablets. Not only that, most know that these devices are becoming essential pieces of kit in order to do the job properly. The question, then, isn’t why should you use a Wacom tablet (after all, we’ve already covered that here), but which one should you get? Certain Wacom tablets are better for some jobs than others, so it can be confusing to know which to choose without going through every specification. With their reasonable price tags and functionality across the board, the Wacom Intuous family of tablets is an ideal choice for people looking to use a pen tablet for the first time. Regardless of your skill level, these devices (Art, Draw, Photo, and Comic) will help you reach new levels of quality. Simply register with Wacom for the Corel Painter Essentials 5 software and you’ll be on your way to transforming your pen and paper art into the digital world. Like the others on this list, the Intuos Mediums have pressure-sensitive pens designed for both right-and-left-hand use, and they’re incredibly easy to set up and use; the ExpressKeys allow you to create shortcuts easily, while the sleek and chic look (with displays up to 24 inches) makes it the height of convenience. They also look great in white, blue or black! If we had to choose one, we’d say the best Wacom tablet for animation and video editing would have to be the Intuos Pro Large. The pan and zoom navigation on the sensitive touch screen is perfect for spotting any background matters, and the ability to create multi-touch shortcuts speeds up the process – particularly handy for when you’re up against it. This is a large tablet, so naturally it’s ideal for creatives working in large formats like video, television and film. Animators will find the pressure sensitivity increases their precision and resolution. The massive draw for animators is the process of turning 2D concepts into 3D digital sculptures. Draw a character once, rotate it to deliver multiple views, and you can create a 3D version that a modeller can deliver more efficiently. Small and medium versions are available on request. 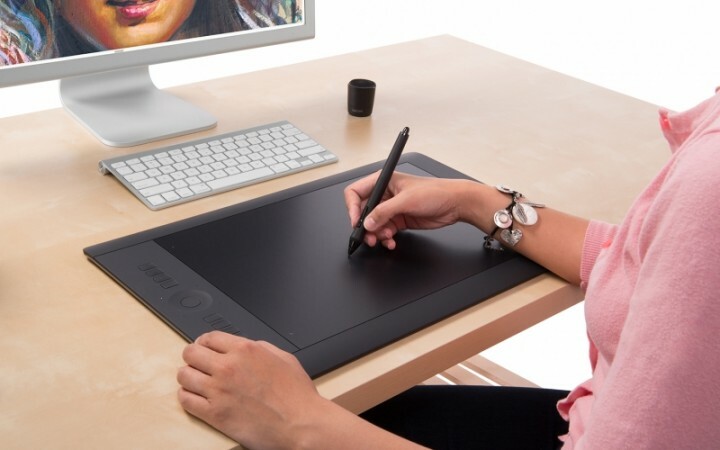 Interested in leasing a Wacom Intuos Pro Large? Click here. Of all the pen tablets out there, Wacom’s Cintiq 27QHD Creative Pen Display is arguably the best available when it comes to colour, resolution and productivity. That’s why we think it’s the best choice for professional illustrators; the 27” display and 27QHD presents you with unparalleled clarity and colour sensitivity. It also shares the excellent traits of other tablets on this list. The ‘ExpressKey’ remote shortcuts, pan-and-zoom navigation and 2,048 levels of pen pressure sensitivity make this tablet one of the supreme devices on the market. 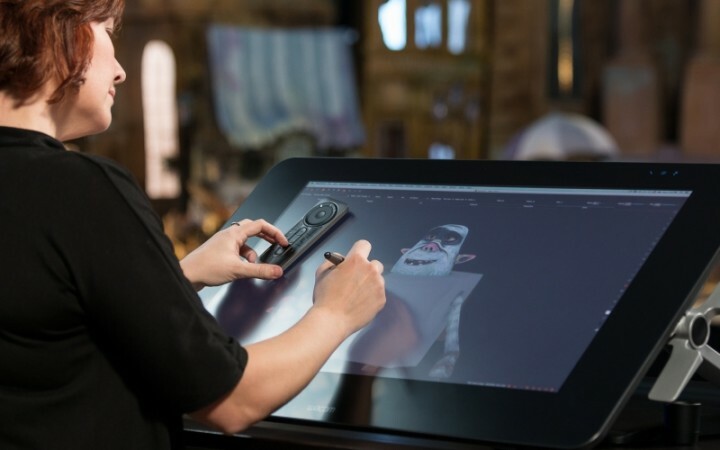 Interested in leasing a Wacom’s Cintiq 27QHD Creative Pen Display? Click here. Designing for websites and advertising material requires high contrast and brightness, to enable you to produce the best quality of work possible. For this, the Wacom Cintiq 22HD Creative Pen Display is perfect. 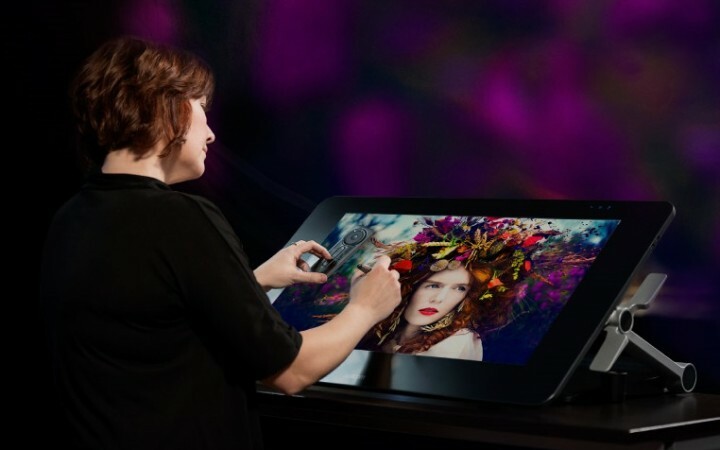 The 21.5” full HD display gives you the ideal digital canvas to create stunning pieces of work, and the 22HD’s rotation stand allows you to adjust the screen for your own comfort when working and collaborating. 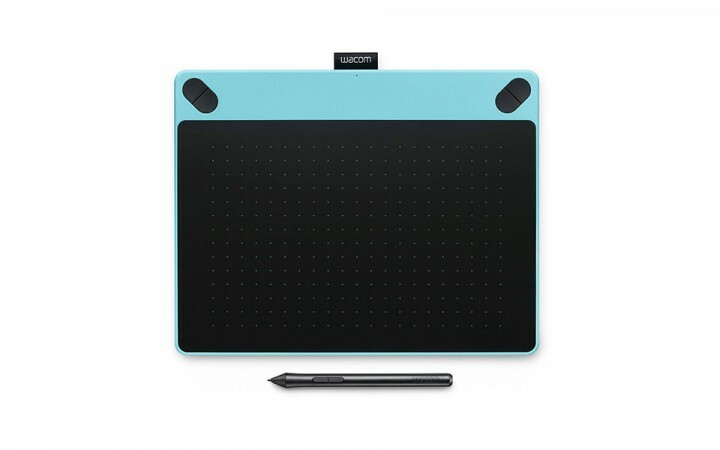 It also comes with – you guessed it – all of the same fantastic features as other Wacom tablets: The ‘ExpressKeys’ remote and shortcuts; touch strips and radial menus, and 2,048 levels of pen pressure sensitivity. 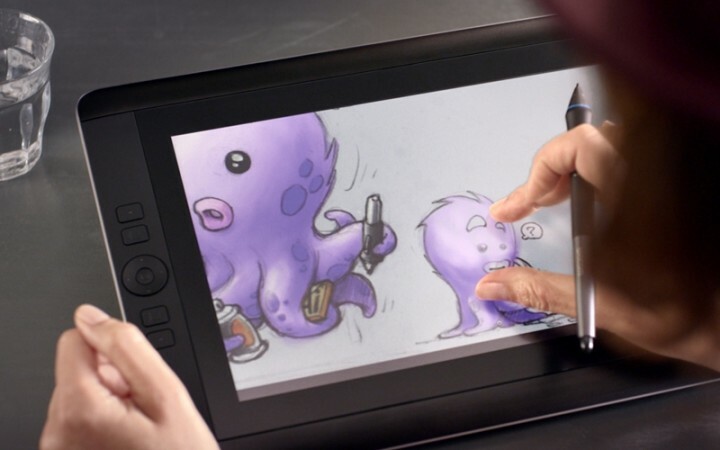 Interested in leasing a Wacom Cintiq 22HD Creative Pen Display? Click here. Massive screens are great in the office or at home, but when you need to get from place to place with the ability to work to a high level, only a more compact device will do. This is why for freelancers who move about a lot – either for client meetings or pitches – we recommend the Wacom Cintiq Companion 2: i5 – 2.GHz. What the 13” Quad HD display lacks in sheer size, it makes up for in transportability and user efficiency. The image is flawless, and when you’re not on the move it makes the perfect primary or secondary display for your Mac or PC. It’s powered by an Intel Core processor, and features include two built-in speakers, a headset jack, and two cameras. Therefore, it’s more than just a creative tool. Interested in leasing a Wacom Cintiq Companion 2: i5 – 2.GHz? Click here. View all of our Wacom Interactive Pen and Touch Display leasing options and learn more about the devices here.